They are among the most sought after students in the country – the low-income, high achiever. Turns out there are many students just like Mullarkey-Williams at USC, where nearly one in four comes from a low-income family. Most Pell Grant-eligible students have family household incomes of less than $50,000. 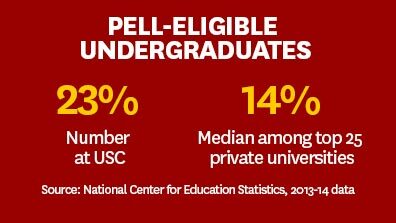 With nearly 24 percent of its undergraduates eligible for a Pell Grant, USC has a far greater share than at almost every other private, highly selective university. It isn’t an accident that USC has so many students who come from community college and financially diverse backgrounds. 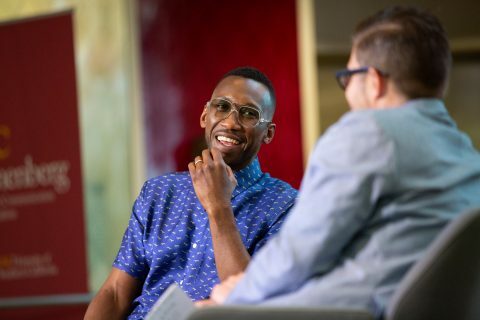 “It isn’t an accident that USC has so many students who come from community college and financially diverse backgrounds,” said USC Provost Michael Quick, a first-generation college graduate from a family of limited means who put himself through college working in construction. Only Columbia and Emory universities at 21 percent come close to USC among top-25 private universities. The median is 14 percent. Many top universities have had high-profile struggles — played out in The New York Times and The Chronicle of Higher Education — in their attempts to find more low-income, high-performing students. How does USC do it? Achieving diversity takes more than good intentions — it’s hard work and it’s expensive. USC employs an all-in approach that combines early preparation and national recruitment with an eye on results. USC recruiters visit nearly 2,000 high schools in every U.S. state every year. And those recruiters are actually USC assistant directors of admissions who later make recommendations on which students — many of whom they have met personally — will be admitted to the Trojan Family. The recruiters’ 500 annual visits throughout California include well-known private schools, but many are also in communities where schools are overcrowded and underfunded. Foshay Learning Center, a nearby South Los Angeles K-12 public school, is now one of USC’s top feeders. That’s where Tristan Baizar graduated from high school in 2013. 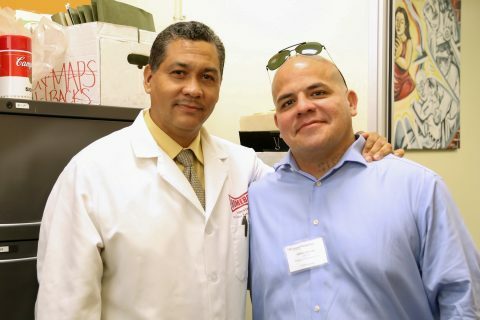 Baizar came to the United States from Belize with his older sister and single mother when he was 4 years old. Now he’s an accounting sophomore at USC. 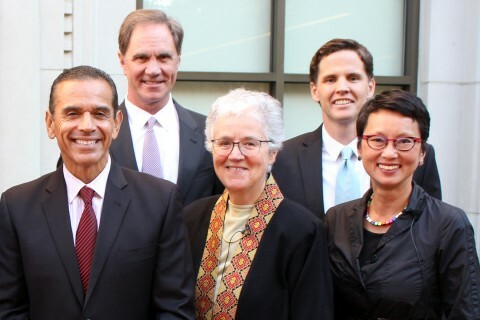 “At USC, quality equals diversity,” said USC Dean of Admission Timothy Brunold. “Some think it is a low return on investment to send a recruiter across the country. For us, it is an opportunity. Students sit up and take notice when we walk in — one of the most selective institutions is coming to call and picking the best students. It wasn’t long ago, USC would visit only a handful of high schools on the East Coast, and the results were reflected in the pedestrian 16 percent Pell Grant rate in 2008. USC worked to increase that by nearly 50 percent in the eight years since. But USC fights well above its weight by that metric as well. While USC failed to crack The Chronicle of Higher Education “25 Richest Colleges by Endowment Dollars Per Undergraduate” it does compare favorably to No. 1 through 5 on the wealth list for recruiting low-income, high-achieving students. Yale, Harvard, Princeton, Stanford and the Massachusetts Institute of Technology together enroll 4,615 Pell Grant-eligible undergraduate students. 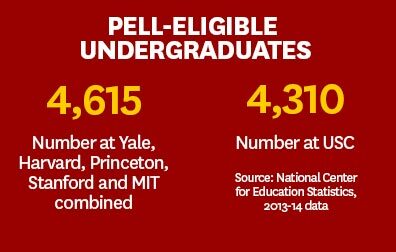 USC alone has 4,310 Pell Grant-eligible undergraduate students. 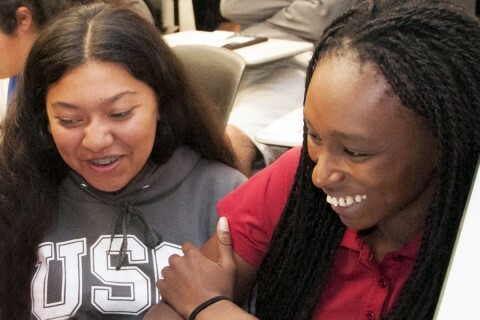 In addition to scouring the nation’s high schools, USC has developed its own pipeline for high-achieving, low-income students to realize their dreams. As a result, the entire Garcia-Nava family will be changed forever. Wendy Garcia-Nava grew up the youngest of six in a one-bedroom house near USC – without a home computer. Now she and two of her brothers are at USC after graduating from the USC Neighborhood Academic Initiative. USC created the college prep program and offers a full-financial aid package to all who are accepted to USC. The program just expanded and will eventually be enrolling more than 1,000 children. Tracking down Pell-eligible students goes beyond high school. USC searches as well for community college students like Joshua Ramirez. Ramirez, who graduated in May, was a standout student in the USC Roski School of Art and Design — after spending five years juggling classes with as many as three jobs at Citrus College in Glendora. Last year USC enrolled 829 new transfers from community colleges — 40 percent of whom are Pell-eligible. 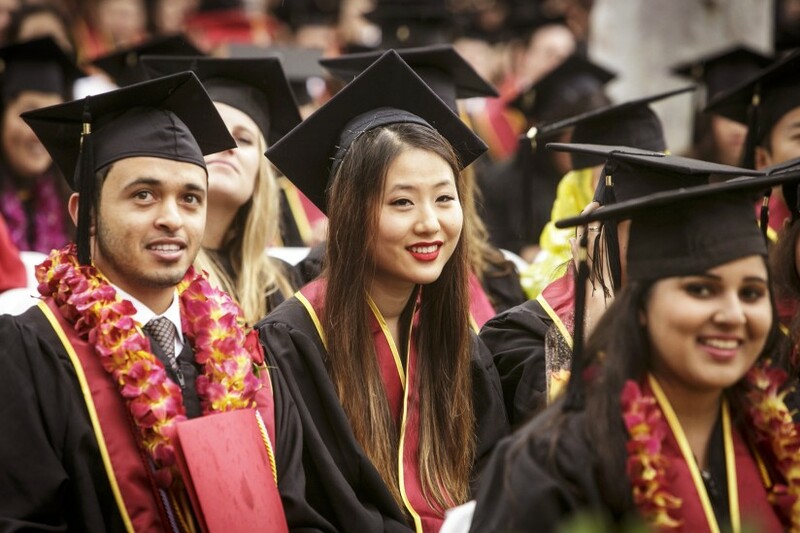 At USC, one of every six students started at a community college. At other selective private institutions, it’s one of every 1,000 students. [USC] has been leading the way by widely recruiting and admitting transfer students from two-year community colleges. And once those students enroll, they are given personalized treatment, whether it be identifying specific students at risk of dropping out because of a lack of funds or flagging students for counseling who might not be taking the right classes to graduate on time. The six-year graduation rate of Pell-eligible students is 91 percent — on par with their peers — and they have less student debt than the national average. But why is diversity worth such an effort? 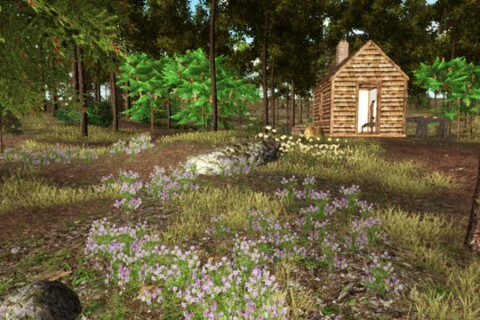 National Endowment for the Arts backs games created at USC School of Cinematic Arts. Nikias, administrators and trustees ask lawmakers to prevent further grant reductions for students attending private universities. Can California close its education gaps? Antonio Villaraigosa, USC Price discuss the creation of an educational system for the 21st century.